Join Career Directors International and Eric Enge of Stone Temple Consulting for the fourth call in the Tactical Biz-Tech Buzz member series on Tuesday, Feb. 21, 2012 at 4:00 PM EDT. Stone Temple Consulting is a leading Search Engine Optimization (SEO) consulting firm, with offices in Boston and Northern California. 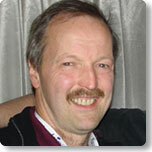 He is one of the authors of "The Art of SEO: Mastering Search Engine Optimization." His specialities include SEO, pay-per-click marketing, social media, web analytics, and business operations.